On the 6th of July, we organised a session at the International Medieval Congress (Leeds) on the Constructions and Representations of Territories in Late Medieval Europe. The question central to this session was how late medieval political actors (e.g. princes, ecclesiastics, nobles, urban elites) perceived and represented the territory and its boundaries they were living in. The point of departure was the fluidity and multiplicity of the concept of territory in a period before the availability of accurate scale maps, and before the use of this concept in secular political thought and practice. Although geographical borders in this period perhaps were less significant than socioeconomic, political-juridical, linguistic and cultural borders, we are convinced that territory can be used as an analytical tool in medieval studies. If its meaning is not narrowed down to simply an enclosed geographical area, the concept allows us to grasp premodern relations between power, people and space(s). In this regard, the political theorist and geographer Stuart Elden only recently (2013) called for a more dynamic conceptualisation of territory, which includes both a political-economic (land) and political-strategic connotation (terrain), and involves the measurement and management of space via diverse political techniques. Focussing on the material and political/strategical sense of the concept territory, however, falls short to its important perceptive connotation. In the wake of the spatial turn (Henri Lefebvre, 1974), one could argue that late medieval territories simultaneously were physical spaces (land), political, jurisdictional spaces (terrain) and lived spaces, which acquired meaning through (and, in turn, gave meaning to) the interaction of political actors. Vital to our understanding of the late medieval concept of territory, therefore, is to connect the concept more directly with the notion of lived-in and representational space. 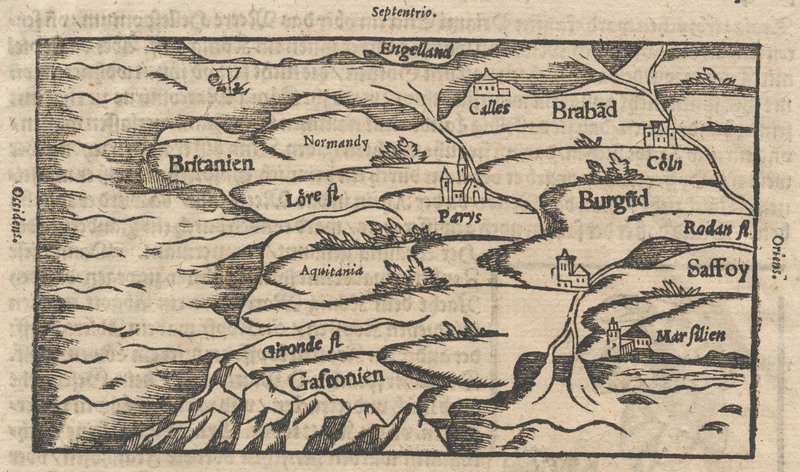 To gain insight into the late medieval notion of territory, we invited scholars to look at the interaction and correlation between territorial practices and representations of territory in a specific historical and geographical setting (session I). By treating a wide range of relevant sources (cartographic, heraldic, narrative and military) for specific geographical and historical case studies, Luca Zenobi (Oxford University), Marcus Meer (Durham University) and Sander Govaerts (University of Amsterdam) have presented inspiring perspectives on the dynamic connection(s) between the creation, maintenance and representations of late medieval territories, and as such contributed greatly to ongoing debates on this topic. Moreover, although they approach the concept territory from different angles, all authors came to two important conclusions. First, their case studies all confirmed that the political and juridical power over a certain area, a physical space, simultaneously could be claimed and controlled by different political actors using highly different yet complementary techniques – from heraldic communication to locally administrated place lists and military campaigns. Secondly, it became clear that the narrative and cartographic representations of territories by different political actors could vary greatly. Moreover, these representations depended not so much on the various techniques used to exercise power over specific physical space(s), as on how these lived spaces and their affiliations, which gave shape to the daily lives of individuals, were perceived by different (political) actors. In his paper on the late medieval city of Augsburg, Marcus Meer convincingly showed how heraldic signs were employed to claim and contest urban space. In their efforts to maintain their independence from their former territorial lord (the bishop of Augsburg), the people of medieval Augsburg claimed the material object of the pine cone shaped ‘pyr’—a symbol of the commune displayed in its seals and coat of arms—on the cathedral courtyard as a sign of their power and authority over the urban space, and thus explicitly denied the bishop’s authority over the city. In return, the bishop used the public display of his own coat of arms on pillars placed on the cathedral’s courtyard to affirm his territorial lordship. The communicative function of heraldic signs, Meer argued, ‘was not limited to expressing the affiliation of urban space, but even more so able to claim a certain space and thus contest its existing affiliation.’ As a result, his paper illustrated that analysing the use of heraldic signs as territorial markers can reveal a great deal about the tumultuous relationship between – in this case – the city of Augsburg as a political and jurisdictional space, its people (duke/urban elites) and their power aspirations on the one hand, and about the impact of this power struggle on the perception and representation of the Augsburg (lived) space(s) on the other hand. Detail of a bird’s eye view of Augsburg by Georg Seld (1521), showing the cathedral courtyard and the contested object in the centre of it, namely the ‘pyr’. The case studies central to these first two papers also confirmed that late medieval territorial processes not seldom provoked revolt, and sometimes involved prolonged warfare. Therefore, Sander Govaerts rightfully stressed that a study of late medieval notion of territory greatly benefits from an analysis of military territorial practices and techniques, as reflected in chronicles, accounts and maps. In his paper, Govaerts thoroughly evaluated the role of armies in the construction of territories of the case of the late medieval Meuse Region, the basin of the Meuse River located in present-day Flanders, and was able to demonstrate that representations of late medieval territories (and their borders) not always reflected their actual military (and hence political/jurisdictional) significance. While chronicles and maps suggest that the River Meuse functioned as a highly important symbolic boundary between the Kingdom of France and the Holy Roman Empire from the thirteenth century onwards, the river only rarely functioned as an actual boundary between these two realms, because most of the respective constituent principalities – such as the Duchy of Bar, the County of Namur and the Prince-Bishopric of Liège – occupied areas on both riverbanks. With regard to the notion of territory, the River Meuse did not function as a demarcation line (of defence), but rather as means to control the traffic of people and goods, and to regulate access into and out of these areas in general via its bridges. Moreover, Govaerts’ analysis of the accounts of the general receiver and high bailiff also indicated that the domestic versus foreign-aspect of the notion territory only became an issue in times of warfare. Rulers such as the duke of Brabant and the prince-bishop of Liège only objected to their fief holders or other subjects serving ‘abroad’ during armed conflicts with their neighbouring political actors. To conclude, the three papers central to our first conference session all confirmed that the study of late medieval processes of territorialisation in a specific context asks for a combined analysis of sources on (narrative, heraldic, military…) territorial practices on the one hand, and on representations of territories (chronicles, maps…) on the other hand. Only then can we fully comprehend the complex interaction between ‘lived’ or experienced political spaces – who could be perceived and represented differently by different political actors – and the physical spaces involved, which were (simultaneously) measured, managed and controlled by different political actors, using different techniques.